At 10 months old Alex now has four little teeth. The bottom two pearly whites popped through around the age of 6 months and in the past couple weeks two shiny top teeth have decided to make an appearance too. Teething is horrible but following all the crying and all the dribble, tiny teeth do eventually appear and it is important to know how to care for your little one’s teeth once they have sprouted through. Alex has got beautiful white teeth but I know they won’t stay that way without a really good dental hygiene routine; he may not be eating sugar or drinking things like coffee that can stain his teeth but oral hygiene is still really important. 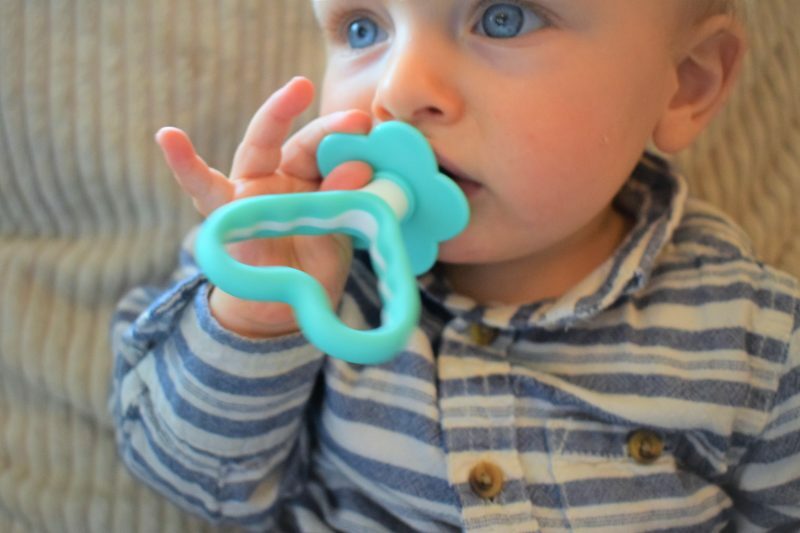 We have recently teamed up with baby dental care brand Brush-Baby to review some of their innovative baby toothbrushes and to share with you some tips on how to look after your little one’s toothy pegs. Got a little one with some teeny tiny first teeth coming through? I hope you find this post useful. As children and adults we know that if we want to have a healthy white smile we need to brush our teeth twice a day, floss if necessary and have regular check ups with the dentist. Whilst babies don’t need such a strict routine at the beginning, it is still important to look after your little one’s gums right from the very start. A good dental hygiene routine can start before your baby’s first teeth have even come through; the sooner you begin daily toothcare with your little one the easier it will be to keep up good oral hygiene habits as they grow up. Although many people think it, babies teeth do not cut through the gums and ‘cutting through’ is not what causes pain and discomfort during teething. When a baby’s teeth are about to show up the gums can often get inflamed and sometimes infected, it is because of this that babies often cry and find the teething process painful. To reduce risk of infection you can clean your baby’s gums with specifically designed wipes, we used the Brush-Baby DentalWipes. Alex found me rubbing his aching gums with the wipes really soothing and I felt like I was helping keep his mouth clean and ready for when his first teeth came through. I stopped using them when his first tooth arrived though as I found the thought of putting my finger into a mouth with a brand new sharp tooth waiting to bite me pretty terrifying! Teething babies love to chew: their fist, your face – everything! 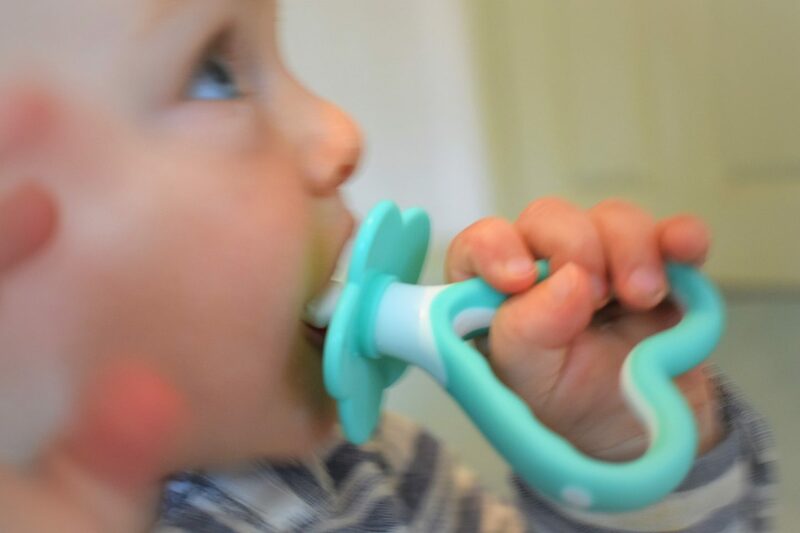 To help your baby satisfy their need to chomp and to introduce the idea of brushing their teeth Brush-Baby have come up with a chewable toothbrush. Alex was not a massive fan of this, he would give it a little gnaw before chucking it away but I think a less fussy baby would love it. The chewable toothbrush is small and, well, chewy. You can add teething gel or toothpaste to the brush and let your baby do all the hard work; the chewable toothbrush is made from baby friendly medical silicone and is BPA free. 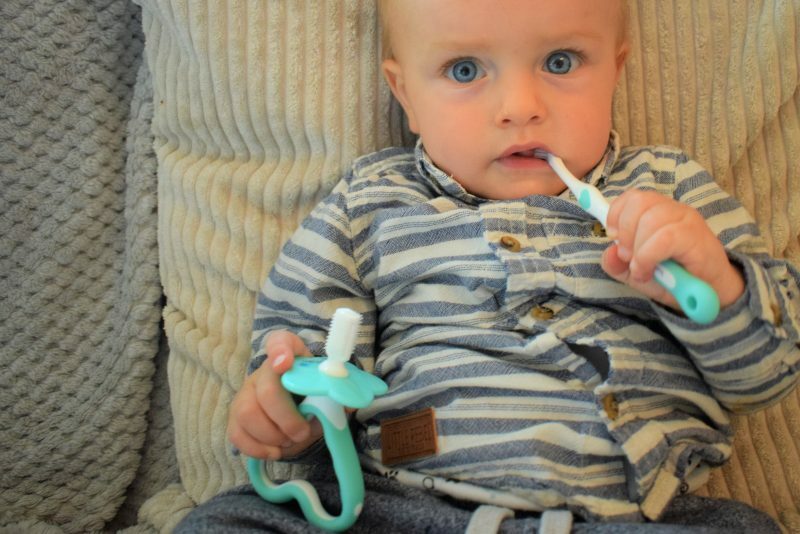 Alex may not have got on very well with the chewable toothbrush but when it comes to teething and toothbrushes, Brush-Baby have a whole range of products to try. Alex loves his My First Brush and Teether set, the heart shape teether fits perfectly into his little hands and there is a small brush head on the end so it can be used for brushing teeth too. The toothbrush is also perfect baby size too, the head is small and has just enough bristles to clean little teeth. I like that the toothbrush is small as it is easy to fit into a small (sometimes uncooperating) mouth and it stops me from accidently overloading it with toothpaste. Despite enjoying his heart teether, Alex seems to prefer chomping away on his toothbrush, even when it is not brush time! Although it may not seem necessary to brush your baby’s teeth, especially if they are not even eating solid food yet, it is so important to make tooth brushing part of your daily routine as soon as possible. If your little one will not go for the chewable toothbrush or the My First Brush, they could try the Brush-Baby Babysonic electric toothbrush. So, I will admit I was a bit sceptical about giving Alex an electric toothbrush, I thought he was going to hate the vibrating sensation and totally freak out. I couldn’t have been more wrong, Alex loves the sonic vibrations and he is obsessed with the toothbrush as it has a light on it. The toothbrush is powered by a single AAA battery and although the vibrations are strong enough to effectively clean little teeth, the power is nowhere near as a high as that of an adult’s electric toothbrush. 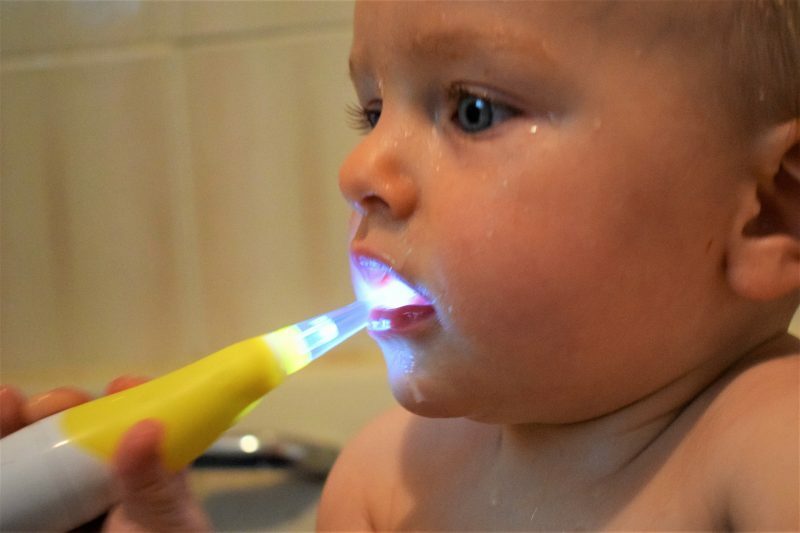 The light stays on for 2 minutes to help you make sure you are brushing your little one’s teeth for long enough and it also makes the brush really interesting to look at for babies. Like the My First Brush, the head of the Babysonic toothbrush is really small and made up of super soft bristles, gentle on sore teething gums but strong enough to keep those new baby teeth sparkling. 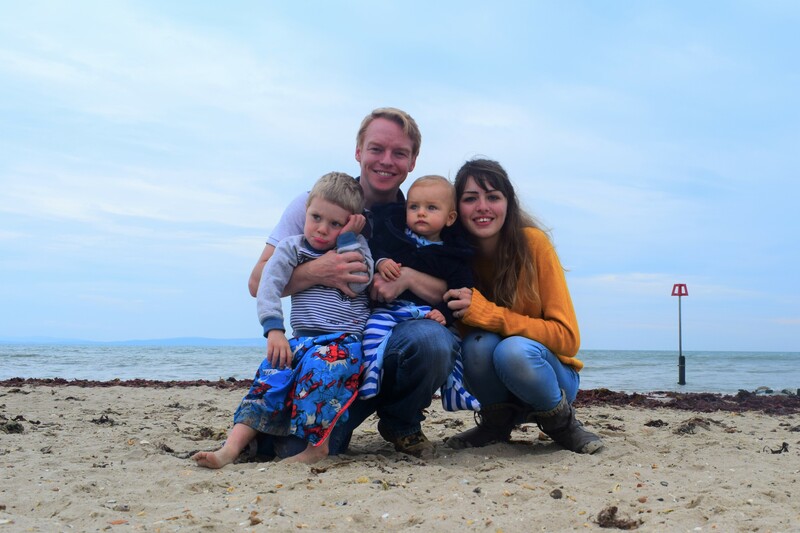 I know it can be difficult to do all of the above, Alex has a dummy and Leo is near enough addicted to squash, but by looking after your baby’s teeth right from the very start you will be helping keep their mouth healthy and their smile beautiful for years to come. 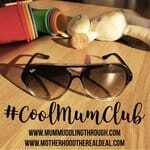 Alex and I have really enjoyed testing out these products from Brush-Baby and I really recommend them as they are so baby friendly and you can tell they have been designed with teething babies in mind. If you like the look of these products and want more teething tips, you can shop the full range and find dental care advice on the Brush-Baby website. 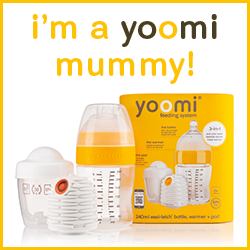 Has your baby started teething yet? What are they like when it comes to letting you brush their teeth? 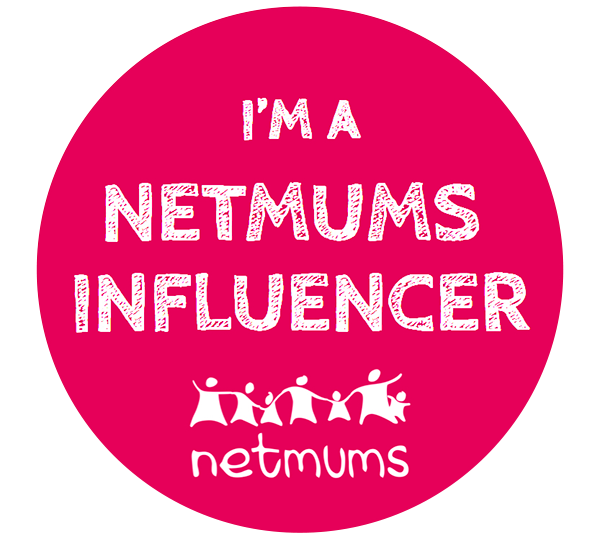 Have you got any more tips on looking after baby teeth to share? I would love for you to share your experiences in the comments below. Disclaimer: Alex was sent a range of Brush-Baby products free of charge to review in return for this honest review. All words and opinions are my own. 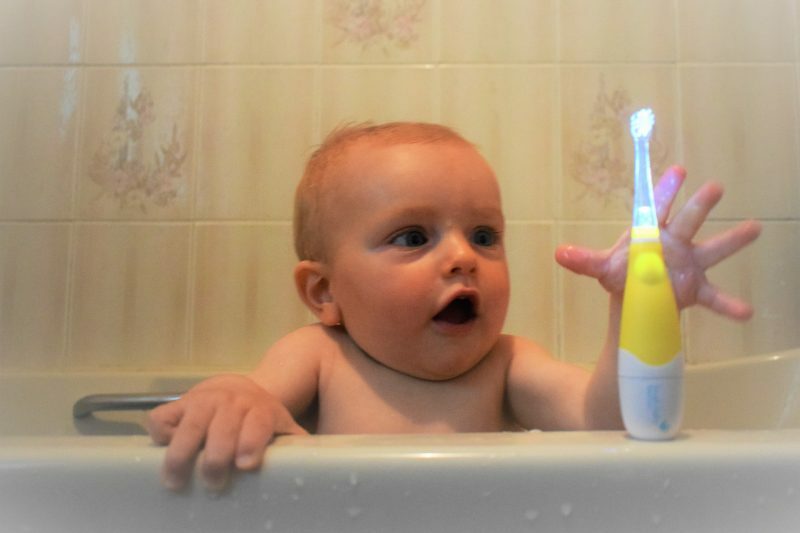 I love the look of this electric light up toothbrush – anything to win the toothbrush battle is worth a go! 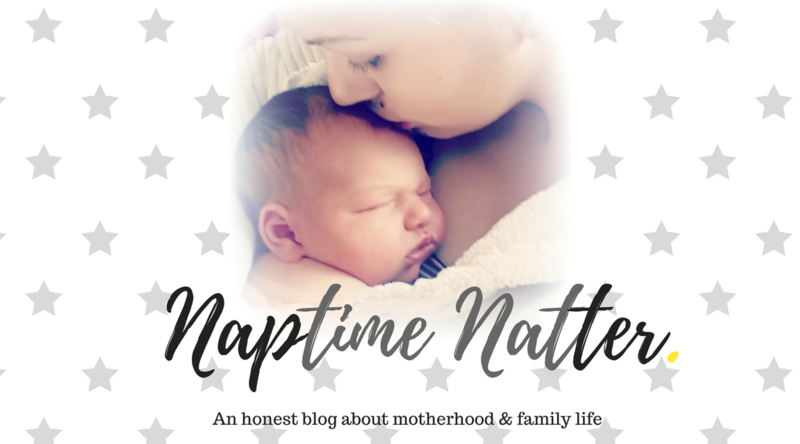 Definitely great advice to start a routine early – although it hasn’t actually helped us, groan. I glad to see.. these really great idea and usually useful for every baby’s mom. Dentist Plainfield recently posted…Hello world! These look great. I find it so hard to brush Jacob’s teeth for 2 minutes. It’s a long time for so few teeth! Its really good for our baby’s . Adults can brush and clean teeth but our baby’s have no idea about teeth problems, so parents are worry about baby’s teeth problems. But its really good idea. If anyone searching for good dentist for kids then consult with our dentist. Thanks for sharing this useful information. This is very informative especially this kind of baby’s tooth brush. At age one, a baby usually has four to six teeth. 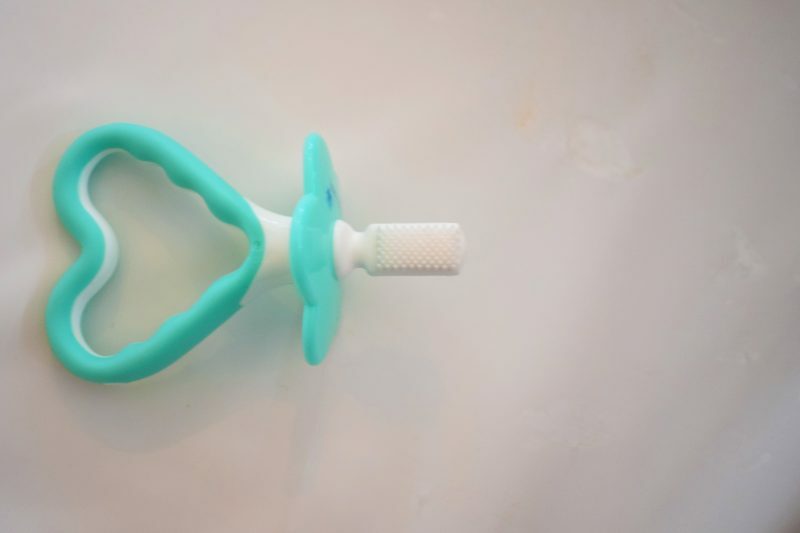 You can start practicing dental hygiene by using this brush to clean your baby’s teeth and tongue.